Subscribe to get deals from hundreds of merchants including the best of Passage New York! OFFER VALID 02/01/2019 - 12/31/2019. Privileges are available when payment is made with the American Express® Card, including American Express Corporate Cards and American Express Cards issued in Singapore by DBS Bank Limited, United Overseas Bank Limited and Citibank Singapore Limited. Prices listed may be subject to service charge and prevailing government taxes where applicable. Privileges cannot be exchanged for cash or used in conjunction with other promotional programmes, offers, discount cards, vouchers or VIP privileges, unless otherwise stated. Merchants’ terms and conditions apply - please check with respective stores for details. American Express acts solely as a payment provider and is not responsible or liable in the event that such services, activities or benefits are not provided or fulfilled by the merchant. Card Members acknowledge that any disputes in relation to the above are to be directed solely to the merchant providing such services, activities or benefits. American Express International, Inc. is not responsible for the endorsement of any service or product featured. Merchants are solely responsible for the fulfilment of all privileges. American Express International, Inc. and the business establishments reserve the right to change the terms and conditions at any time without prior notice. All information is correct at the time of print. Visit amexnetwork.com.sg for more details.. Please always check with the merchant on the validity of the promotion before purchase. Valid for new female Passage New York customers, or customers who have not visited Passage New York in the past 12 months, age 21 years old and above at time of consultation only. Offers are redeemable after consultation at all Passage New York establishments unless otherwise specified. Limited to one-time redemption per customer. Please present your original NRIC or supporting identification documents for verification purposes. Prior appointment is required, please call 6885 2738 and quote PASSAGE-AMEX to make an appointment, subject to availability. Offers are only applicable for the treatment(s) stated and are not to be combined with any other promotions; neither are they exchangeable for cash or in kind, or any product(s) or other service(s) that is not stated. Payment must be made with HSBC cards. Redemption is by appointment only and is subject to the availability of the PASSAGE NEW YORK establishment. It is necessary to produce original voucher, your original NRIC or supporting identification documents when redeeming offers. All prices stated include prevailing GST. 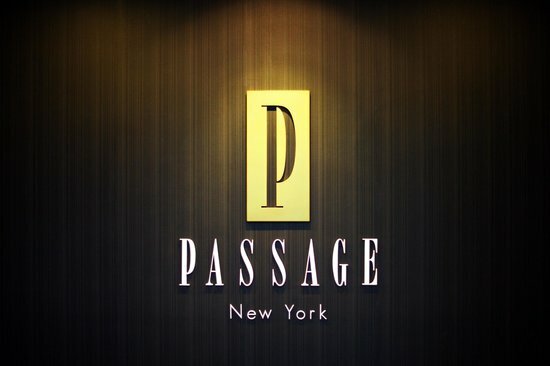 The management of PASSAGE NEW YORK reserves the right to vary the terms and conditions of this promotion without prior notice. Applicable to new or existing PASSAGE NEW YORK customers. Promotions valid till 31 December 2017. Please quote AZP184 at point of booking. Treatments offered are available to first-time Female customers of PASSAGE NEW YORK, or customers who have not visited PASSAGE NEW YORK in the past 12 months, who are: (i) either a Singapore citizen, permanent Resident, or holder of Employment Pass; and (ii) of age 25 years and above at time of consultation. Offers are redeemable after consultation at PASSAGE NEW YORK establishments. Limited to one-time redemption per customer. Redemption is by appointment only and is subject to the availability at PASSAGE NEW YORK establishments. It is necessary to produce original voucher, your original NRIC or supporting identification documents when redeeming offers. Treatments offered are conditional upon customers signing GWH Consent Form at the respective outlet. For further details and information, please visit www.gwh.com.sg. ANZ General Terms and Conditions apply.. Please always check with the merchant on the validity of the promotion before purchase. Treatments at $58 Choose from either of the following: Signature Face Spa (90-min, U.P. $280) or Aroma Full Body Massage with Body Scrub (90-min, U.P. $280) Promo code: "SAP130"